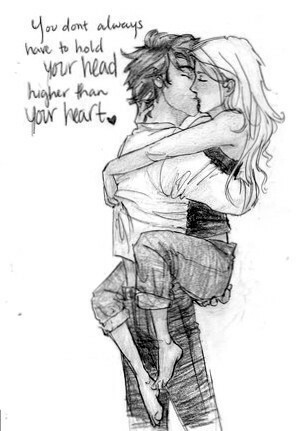 PERCABETH. A Pic that goes along with a fanfic story (thats amazing door the way) all u Mooshy Percabeth fans will like UGH :\ im gonna be sick (ill put a link up for the fanfic). Wallpaper and background images in the The Heroes of Olympus club tagged: annabeth percy jackson. Censored! Got to admit good drawing though.